Bosch Packaging Technologies and Spee-Dee Packaging Machinery packaging line for sale. Bosch Packaging Technologies and Spee-Dee Packaging Machinery packaging line for sale. 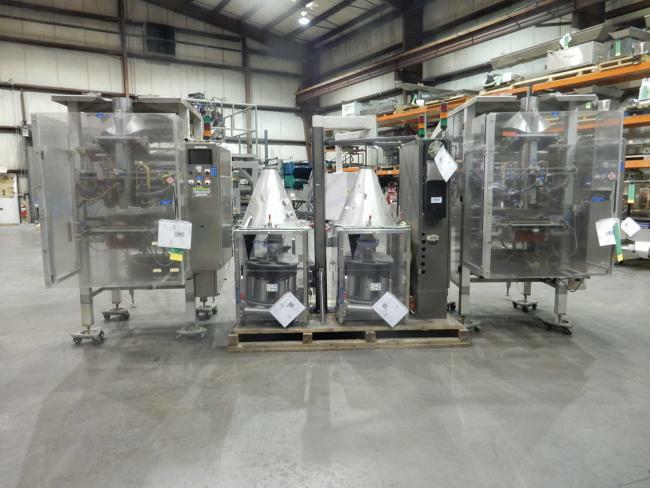 High Performance packaging Has this Bosch Packaging Technologies and Spee-Dee Packaging Machinery for sale. This Bosch Packaging Technologies and Spee-Dee Packaging Machinery packaging line is ready to run. High Performance can also add bucket elevators, vibratory feeders, takeaway conveyors, metal detection, checkweighing, and pack off tables to complete the line. We can build any custom line to your specifications. High Performance Packaging can also offer FAT test runs, install the line and assist you in start up and training. High Performance packaging has this Bosch Packaging Technologies SVB3601 and Spee-Dee Packaging Machinery CJS-306 twin volumetric filler for sale.